A group of about 30 high-ability, fifth-grade students from Johnson, Lexington, Scottsburg, and Vienna-Finley elementary schools gather around a projection screen at Mid-America Science Park to watch YouTube videos on how to assemble 3-D printed, prosthetic hands. “We started assembly today. We started research two months ago,” said Gabriel Hines, a fifth-grade student at VFES and a member of the team, Warriors. The excited students peel off the layer of 3-D printer filament from their prosthetic fingers. Each prosthetic hand takes about nine hours to print with the 3-D printers at MASP. The thin, peelable layer, called rafting, helps stabilize smaller, printed pieces as the 3-D printer meticulously prints each part, layer by layer. “The first day we met here, they showed us 3-D printing and how [the hand] was formed. We did research on Mondays during school. The second time, today, we are doing assembly,” said Skylar Herald, a fifth-grade student at VFES and is part of the Warriors team with Hines and two other students. After peeling off the rafting, the students take fine-grit sandpaper to the parts of the prosthetic finger. This helps smooth out the sharp spots left by peeling off the rafting. The sanding also helps the pieces move better when they are connected together. As the students finish carefully sanding the pieces of the prosthetic finger, they move onto snapping the finger together where the knuckle joint is located. After connecting the joint, the students take a braided line and thread it through the finger, so the finger will be able to move when it is connected to the tensioner part of the 3-D-printed hand. They also have to knot one end of the line several times to keep the line in place. “The only thing we had trouble with is stringing it,” Hines said. They repeat the process for all their fingers and begin putting the pins and tensioner on the wrist part of the prosthetic hand. The hands the students are assembling will go to other children around the world. The high-ability students will complete seven hands just before Christmas. “With classroom work, you are doing it for yourself. With this, you are actually giving it to other people,” Hines said. 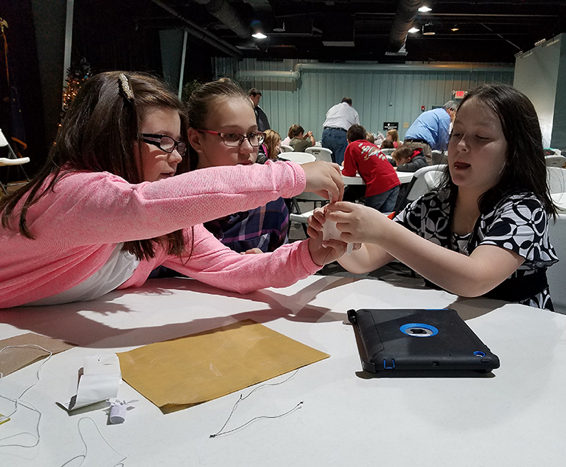 The idea for the 3-D printed prosthetic hand project started when Chuck Rose, director of elementary education at Scott County School District 2, wanted to find a way to make more use of MASP. 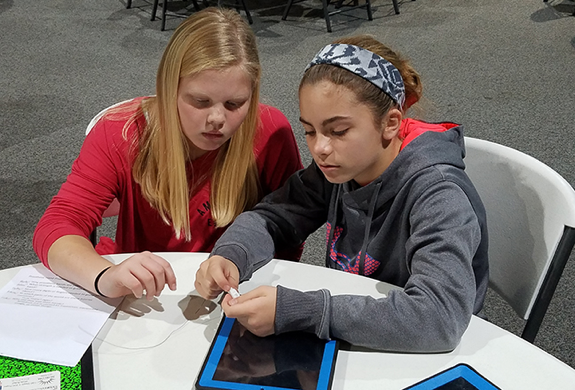 Rose met with Ray Niehaus, managing director of innovation and technology at MASP, and the two collaborated on ideas for projects that students could do. They came to an agreement on creating prosthetic hands through Enabling The Future, a global organization composed of volunteers who provide designs and blueprints for prosthetic hands. The organization also helps connect the volunteers who create hands with those who need a prosthetic hand. In October, Niehaus began working with the high-ability fifth-grade students. The students had to create a notebook, assign roles for each group member, research prosthetic hands and why there is a need for these in the world, and add diagrams to the notebook to understand how the hand works before coming to the point of assembly. After the students assemble and finish the prosthetic hands, they will ship them to Enabling The Future. The organization will send the hand to a child in need of a prosthetic hand, and the recipient’s new hand will allow them to grasp lightweight objects. The cost of a 3-D printed prosthetic hand is about $35. Otherwise, recipients would spend about $8,000 for a custom-made, muscle-actuated prosthetic hand, and for many recipients, this cost is not an option financially. 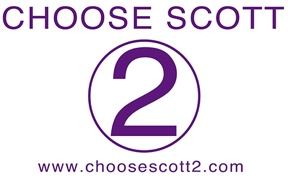 Once the hand reaches its recipient, Enabling The Future will connect the Scott 2 students to the recipient through video conferencing. So far, Enabling The Future has delivered 1,800 hands to children around the world. “I want to hear back from them,” Herald said about the recipients. The Scott 2 students will also enclose a letter with the hand, Niehaus said. They hope to find out who their recipients are in February as some of the recipients are in remote parts of the world. “I’m really encouraged what I am seeing out there,” Rose said. 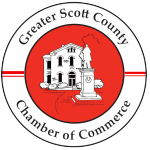 At Scott County School District 2, the fifth-grade students’ story is our story. Your story matters. You matter.